San Francisco, California, USA – Spiral Water Technologies, a developer of advanced filtration solutions for difficult-to-treat waters, has moved its corporate headquarters to an expanded facility in San Rafael, California. The Bay Area company, whose award-winning system has attracted international attention, will use the expanded space to accommodate its growing operations including research & development, and production. “The new offices are an important next step for Spiral Water. We are ideally positioned to grow as the demand for greater energy efficiency, maximized water conservation, and solutions for waste management continues to increase. Our new space provides the room we need to accelerate our growth trajectory,” said Spiral Water President and CEO Ashwin Gulati. Spiral Water’s flagship technology is its Automatic Self-cleaning Filter, the next generation in filtration technology that was developed to address specific issues in treating challenging waters. With its proprietary design, the Spiral Water system offers significant benefits to customers in a wide array of industries. It can filter up to 100 times dirtier water than traditional automatic filters while using only 10% of the energy required by existing systems and at a fraction of the footprint and weight. This results in lower CAPEX and OPEX while achieving 99.9% water recovery. The growing company has enjoyed a high profile the past year. In 2015, Spiral Water was recognized with the prestigious Technology Idol Award at the Global Water Awards in Athens, Greece, presented to the early-stage company “whose technology could change the future of the water market.” In addition, the company introduced the technology to delegates from around the world with a presentation at the Innovation Theater of the IDA World Congress in San Diego, and was invited to showcase the system at the BlueTech Innovation Pavilion at Aquatech Amsterdam, one of Europe’s largest water industry events. Spiral Water also works directly with companies to provide industry-specific solutions, a job that found Spiral Water employees on board a freighter in the Great Lakes and outfitting a hydroelectric plant in the Northwest this year. The company is also drawing interest in the Bay Area, as wineries and breweries are learning how Spiral Water’s filtration system not only increases processing efficiency, but also can protect valuable flavor and turn nutrient-rich waste product into a potential revenue stream. 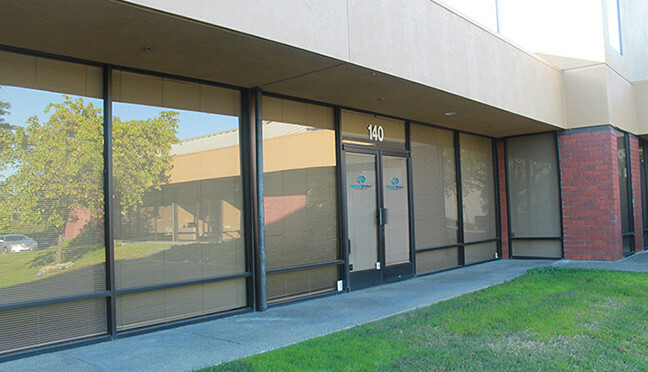 Spiral Water Technologies is now located at 999 Anderson Drive, Suite 140, San Rafael, CA 94901.